Following up on the instant sell-out of Team RED, by popular demand we proudly present the limited edition Team BLU versions of Pyro and Demoman. 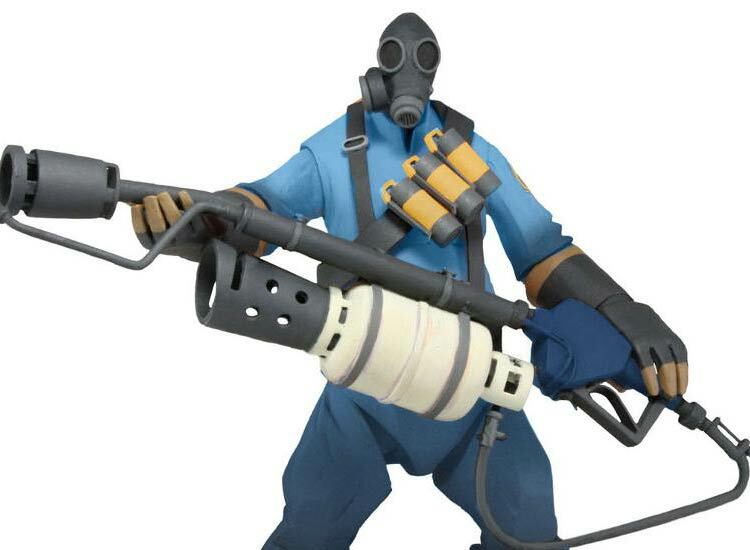 From one of the best selling and most successful games in the Valve library – these detailed action figures are faithful to the animated look of the characters.The figures stand over 6.5″ tall and feature over 25 points of articulation and include their signature in game weapons and accessories. 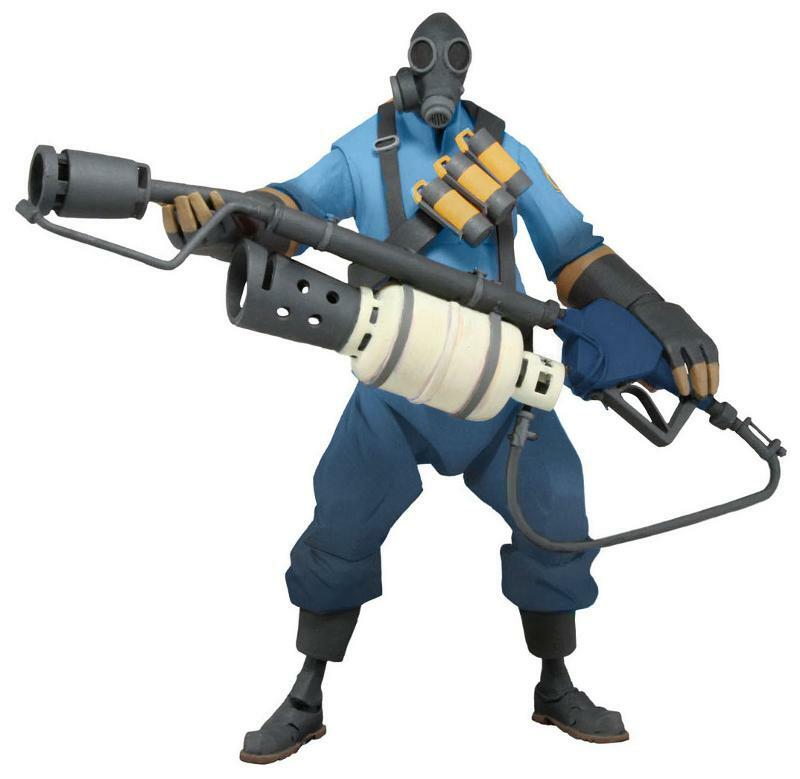 Pyro and Demoman are re-created here in their Builders Leagues United (BLU) uniforms and they include flamethrower and grenade launchers respectively. These figures are strictly limited to 10,000 pcs of each and the packaging will be labeled as such. Each figure will include a special in-game code that customers can use to unlock special in-game bonuses when they play!